The U.S. Department of Justice official who appointed special counsel Robert Mueller to investigate Russian efforts to influence the 2016 presidential election said he is satisfied with the special counsel’s work…. Rosenstein has much to be accountable for. Yes, Virginia, this is a witch hunt. Robert Mueller III was appointed special counsel after his friend, the vindictive former FBI Director James Comey, committed a federal crime by leaking a memo which was a government record to the press. Mueller has picked staff and prosecutors as if he were stocking Hillary Clinton’s Department of Justice. He has picked a bevy of Clinton donors, an attorney who worked for the Clinton Foundation, a former Watergate assistant prosecutor, and even a senior advisor to Eric Holder. Objective professionals all. 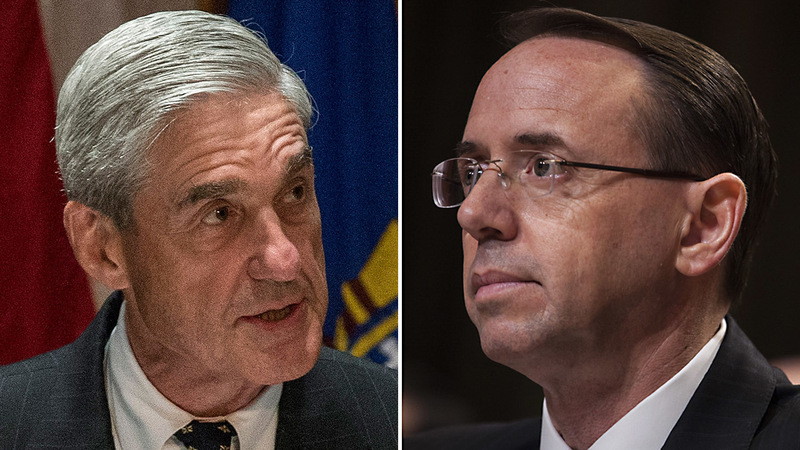 Thanks to Rosenstein, Mueller is in fact colluding with Comey and Clinton moles to enact revenge on President Trump for Comey’s firing, something which even Comey said Trump was constitutionally entitled to do. There is no evidence of collusion with Russia or obstruction of justice. It is not obstruction of justice for a President to exercise his legal and constitutional authority. Federal prosecutors generally begin by identifying specific crimes that may have been committed -- in this case, violation of federal statutes. But no one has yet identified the specific statute or statutes that constrain Mueller's investigation of the Russian matter. It is not a violation of any federal law for a campaign to have collaborated with a foreign government to help elect their candidate…. Indeed, now we here reports that Mueller’s investigation will range anywhere from Jared Kutchner’s finances to perhaps any unpaid parking tickets Sean Spicer may have. Strzok was one of the leaders of the FBI’s investigation into Hillary Clinton’s use of a private email server, and he participated in interviews with a number of Clinton’s top aides, including Huma Abedin and Cheryl Mills, as well as Clinton’s own interview with the FBI. A top prosecutor working with special counsel Robert Mueller praised former Acting Attorney General Sally Yates at a moment in late January when she was at loggerheads with newly minted president Donald Trump. Andrew Weissman emailed Yates ten days into the Trump administration after she refused to enforce or defend an executive order banning incoming travelers to the U.S. from seven terror-prone majority Muslim countries. 'I am so proud. And in awe. Thank you so much. All my deepest respects,' Weissman wrote to her. Sally Yates was part of the so-called “resistance” to President Trump and his agenda. So too is Peter Strzok. Andrew Weisman, Robert Mueller… and Rod Rosenstein, who is proud of all this. A senior Justice Department official was demoted this week amid an ongoing investigation into his contacts with the opposition research firm responsible for the anti-Trump “dossier,” the department confirmed to Fox News. 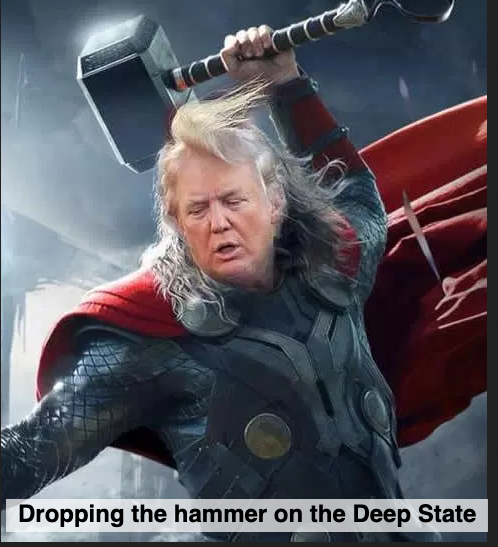 Additionally, House investigators have determined that Ohr met shortly after the election with Glenn Simpson, the founder of Fusion GPS -- the opposition research firm that hired Steele to compile the dossier with funds supplied by the Hillary Clinton campaign and the Democratic National Committee. By that point, according to published reports, the dossier had been in the hands of the FBI, which exists under the aegis of DOJ, for some five months, and the surveillance on Carter Page, an adviser to the Trump campaign, had started more than two months prior. A good question Rosenstein won’t answer. Rosenstein is satisfied with Mueller, and why shouldn’t he be? The two go back a long way and cooperated in the cover up of an FBI investigation into Russia’s use of bribes, kickbacks, and money laundering to grab U.S. uranium supplies and real collusion with Hillary Clinton, only to resurface years later to chase phantom collusion between Team Trump and Russia. If evidence of bribery, kickbacks, extortion, and money laundering in the Uranium One affair are not grounds for a special prosecutor assigned to investigate Hillary Clinton, what is? Rosenstein and Mueller, by their silence on this investigation hidden from Congress and the American people, and using the office of special counsel and a politicized FBI to conduct a silent coup against a duly elected president are unindicted coconspirators in Hillary’s crimes and should be terminated immediately.